Etch a Sketch has been around since I can remember. It was the classic car toy of my generation. My mom wanted to keep me busy in the car, she handed me the Etch a Sketch and I would go crazy. Now, with kids using devices in the car, it's a lot of screen time. I think it's time to get back to the past, and hand the kids the Etch a Sketch. With the 2 new products, it's going to be easy! The next generation has a new classic to play with! 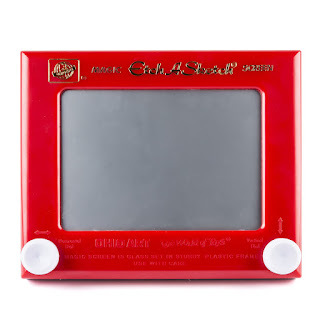 Introducing Etch A Sketch Freestyle: a toy from the past transformed for the future. Designed exclusively for young artists, the Freestyle comes with a handy stylus that’s easy to grip and move. Kids can express their creativity without any messy clean up. Simply draw, shake to erase, and draw again – just like you did! Only now, your child has a whole new world of etching possibilities to discover. Alternate between thick and thin lines or use the double-sided stampers to add hearts, circles, stars and clouds to doodles. Since inspiration can strike anywhere, the classic red frame of the original has been flattened into a sleek and lightweight drawing pad. Throw it in a backpack and take it on a trip! Get creative, wherever you are, with the Etch A Sketch Freestyle! 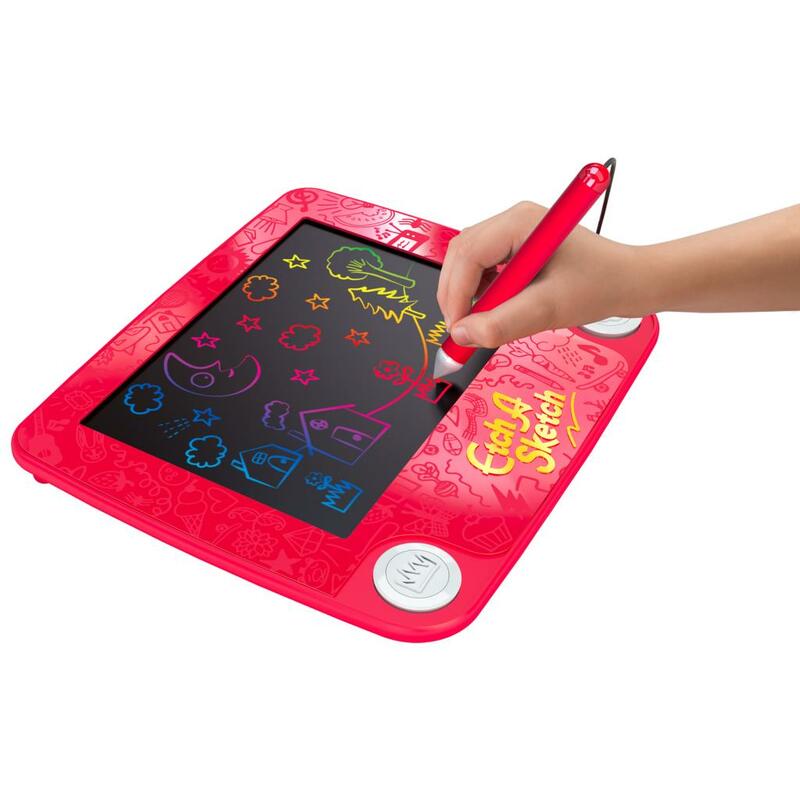 Spark creativity and bring out your little one’s inner artist with the Etch A Sketch Joystick. This paperless drawing pad is a modern take on the iconic toy. Updated for younger artists, the two dials at the bottom of the frame are now one easy-to-use joystick that swivels 360 degrees! Toddlers will develop fine motor skills and hand-eye coordination drawing loops, lines and circles. When it’s time to begin again, simply shake to erase! With no clean up needed, this drawing pad gives kids the freedom to delve into their creativity and express themselves, even at a young age. Since little hands can only hold so much, the iconic red frame of the original has been transformed into a vertical design, so kids can hold and doodle. 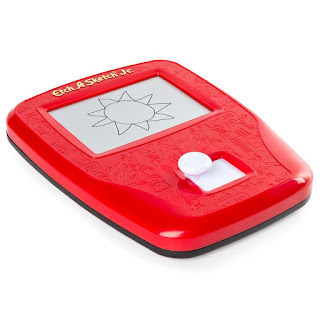 Introduce your toddler to the joy of drawing with the Etch A Sketch Joystick! You can pick up both products on Amazon or in your local Toys 'r Us store. We are definitely using ours on our trip across the country this fall!